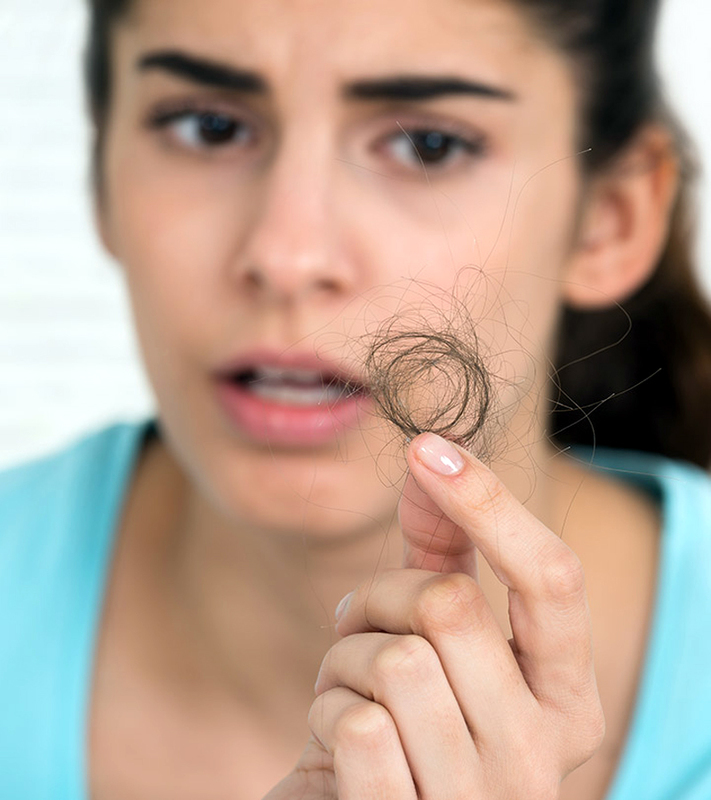 Think you're losing more hair than normal? Here's how to deal. Losing hair is a completely normal process. Similar to the way your skin sheds dead cells, your body expels old strands so they can be replaced with new, healthy ones. It might sound like a lot, but fun fact: Most people lose around 75 to100 strands a day. But if you're seeing more hair in the drain and in your brush than normal or you can tell your ponytail is thinner than it used to be (and don't have a medical condition, like alopecia), it's possible you're losing more hair than you should be. 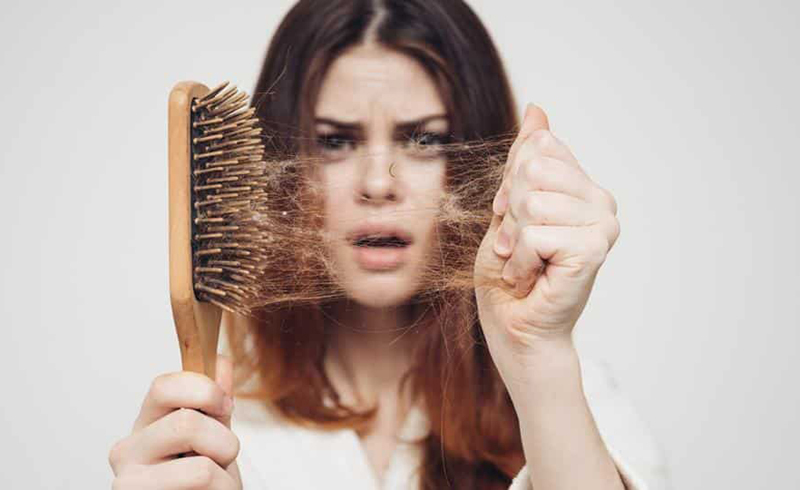 Since you only replace about 50 to 75 new hairs per day, losing more than 100 hairs a day will create a deficit, says Michelle Blaisure, trichologist and Bosley Professional Strength Product and Technical Specialist. One of the most common causes of hair loss is stress and fatigue. "When you're stressed, your body is in fight-or-flight mode and the response is to increase blood sugar and suppress digestion, so you can use all your energy to run from the tiger," says Blaisure. While we don't have any literal tigers chasing us in 2018, we do have traffic, lack of sleep, jobs, and poor diet to balance. Instead of sleep, we fuel ourselves with coffee and sugar-laden granola bars, causing blood sugar and cortisol levels to fluctuate up and down. This stress response impacts your hormone levels and can cause hair to shed excessively, she explains. Lastly, many women experience hair loss after giving birth due to changing hormone levels that can cause hair to suddenly fall out. Luckily, the body generally self-corrects when hormones return to normal about three months postpartum, Blaisure says. None of this advice will surprise you; it's the exact advice you've heard for nearly every health-related problem. But this simple advice is also the key to getting to full, healthy hair. First up, sleep: seven to eight hours minimum every night to restore energy and lower cortisol levels. Eat a balanced diet including protein and healthy fats to help stabilize blood sugar so you don't crave the sweets and caffeine, says Blaisure. And to further reduce stress, aim for at least 30 minutes of exercise every day for healthier hair and a healthier everything else, too. Win-win.